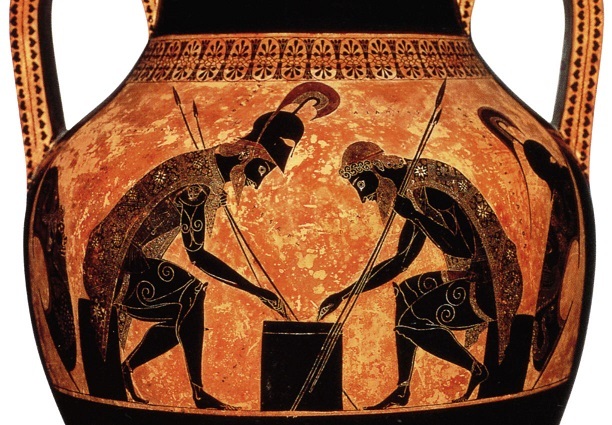 A few weeks ago, we delved into the surprisingly deep history behind games still commonly played today, like Go, chess, and various dice games. But we barely scratched the surface when it comes to ancient gaming. There are numerous games that fell out of favor centuries ago, only to be resurrected in the modern day by game enthusiasts and historians. In today’s blog post, I’d like to dust off a few of these ancient games and briefly discuss what we know about them. It’s game history time! A popular Viking game whose heyday was between the fourth and twelfth centuries, Hnefatafl was a popular game throughout Scandinavia. This mouthful of a game — sometimes called Viking chess by modern game fans — was so ubiquitous back then that it was mentioned in several of the Norse Sagas. Amazingly, although game pieces and fragments of game boards have been recovered, no one is entirely sure how the game is played, so rules have been reconstructed based on a similar game called Tablut. 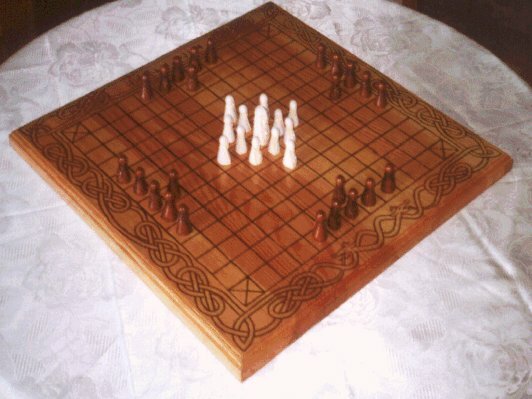 Translated as “board game of the fist,” Hnefatafl is part of a family of games called Tafl games, all of which take place on a checkerboard-style play space with an uneven number of game pieces. Unlike Hnefatafl, the Royal Game of Ur has survived the centuries pretty much unscathed, thanks to a copy of the rules recorded on a Babylonian tablet. Played in the Middle East centuries ago — in places like Syria and Iran — the Royal Game of Ur was clearly popular, as evidence of the game has been found as far away from the Middle East as Crete and Sri Lanka. The game and its trappings penetrated deep into Middle Eastern society. An Ur game board was carved like graffiti into a wall in the palace of Sargon II (dating back to the 700s BC). The Babylonian tablet indicates that certain game spaces were believed to be good omens, and could be interpreted as messages from the beyond. The game was eventually either supplanted by backgammon or evolved into a version of backgammon, depending upon different historical accounts. Tori Shogi dates back to 1799 in Japan. Also known as Bird chess — thanks to game tiles named after phoenixes, cranes, and swallows — Shogi is played on a board seven squares wide and seven squares deep. Unlike many chess variants, Tori Shogi allows for captured pieces to return to play, a nice twist that deepens the familiar gameplay style. But chess and backgammon aren’t the only games with centuries-old precursors. 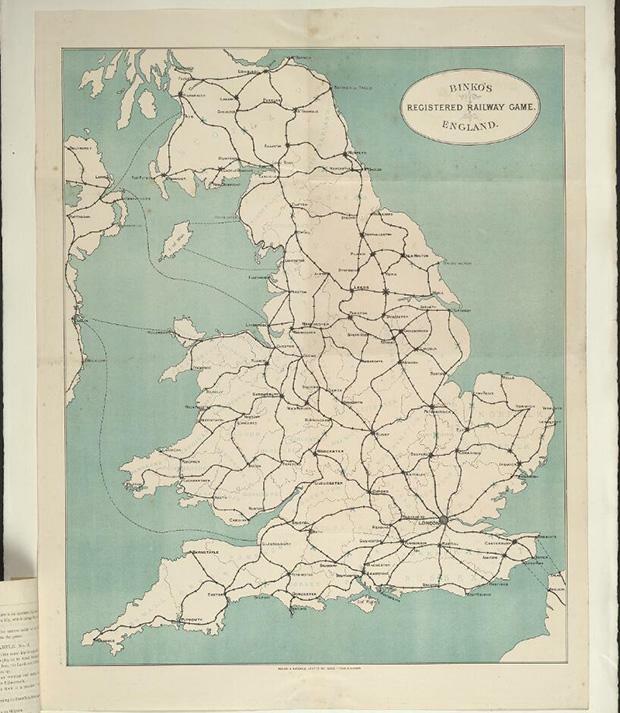 The geographical game Ticket to Ride also has an aged forebearer in Binko’s Registered Railway Game, which was built around a map of the United Kingdom. An educational game about placing trains on the map and determining how far they travel, this game has survived the decades relatively unscathed by time. Those are just four examples of games that were either lost and then rediscovered, or games that fell out of favor, only to be resurrected by curious modern players. And once again, these games are just the tip of the iceberg. There are centuries-old versions of The Game of Life, Parcheesi, a dating game, checkers, and more when you start digging! As you can see, games have been a part of human civilization dating back millennia. We were always meant to play puzzles and games, it seems.